Are you the right match for us? 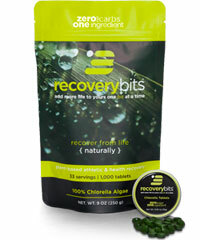 Join our fast-paced, young, and innovative Boston company as we rocket into the American mainstream marketplace with our organic superfood – algae tablets. 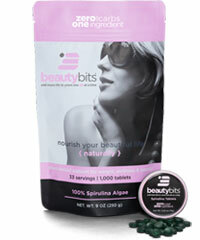 All our algae products are organically grown with no preservatives, additives, or artificial flavoring. The health and nutritional benefits of algae are so extensive that there are 100,000 studies documenting them yet algae remains virtually unknown in the USA. Our company ENERGYbits is changing this! Learn more about us at www.energybits.com and let us know if you want to be part of the next big thing in health and nutrition! If you are smart, creative, driven, have a background in eCommerce or Digital Marketing, and are looking for experience with an energetic company that is doing things differently, this internship is for you! 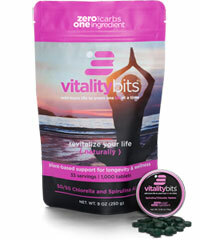 ENERGYbits is a nutraceutical company based in the Beacon Hill area of Boston, MA that sells spirulina and chlorella algae products. Our four brands of algae are sold online from our website and Amazon and nationally through wellness retailers (spas, nutritionists, doctors, health food stores etc). As a startup, ENERGYbits has already broken into pop culture, appearing on Shark Tank, being mentioned on the Joe Rogan Podcast, and being featured on national television and podcasts like Wellness Mama and Ben Greenfield. Our company is quickly expanding its digital assets to meet the exploding consumer demand and interest in plant-based foods like algae. Your main project will be helping us update old content on our WordPress blog. We’ve recently upgraded our blog and some of our old content lags behind our current quality. We also have dozens of posts that need to be put into our new system. You’ll also work on cleaning up some of our databases via Excel. As a fast-growing company, keeping data organized is important, but doesn’t always happen. Your help and input in a few organizational project will be greatly appreciated. As a small team, we require independent work. You will be responsible for your own projects and will be expected to properly manage them. Your input will be greatly appreciated, but you must put in the time to prepare and thoroughly plan your work. We will be here to help guide you, but do not expect to be micromanaged. We anticipate that you would need to commit 1-2 days/week for this internship based on the workload. Please send your cover letter and resume in an email along with your availability and preferred start date. Work hours and internship time-frame are flexible. 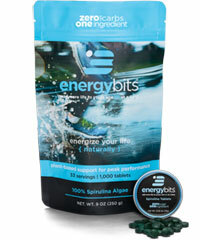 Please add the subject line “ENERGYbits eComm Internship” and email it to cimparato@energybits.com.